Girl Cop takes an affectionate look at the police force as it was when the author joined in the early 1990s. It interweaves amusing anecdotes of life on the beat with the tale of PC Sally Gentle and her search for a lasting relationship. The result is an uplifting romantic comedy novel with a genuine feel-good factor. 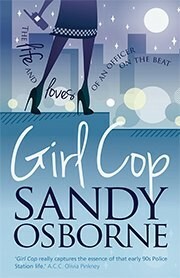 “I hope, after reading Girl Cop, people will be encouraged to join the police! !” says the author. The book will be enjoyed not only by those who work in the force or aspire to a career in the police, but by anyone who has wondered what it’s like behind the scenes at their local police station. 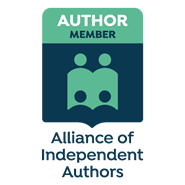 More upbeat than The Bill and more true-to-life than The Thin Blue Line, the novel combines romance, humour and excitement to provide a compelling tale that will have readers clamouring for a sequel. In her quest to obtain permission for the use of police collar/shoulder numbers, Sandy Osborne contacted the family of a young Sergeant, Andrew Cuff, who lost his battle against cancer last year. They were delighted that she wanted to use his collar number for her ‘love interest’. His colleagues organise fundraising activities under the name of Team Cuffy to raise money in his memory in support of St Peter’s Hospice where he was cared for and also put up a display at the book’s official launch in January. It was a very moving moment when Sandy Osborne honoured his memory by presenting Andrew’s mother, who attended the launch, with a bouquet of flowers. To order your copy of Girl Cop from Amazon, click here.